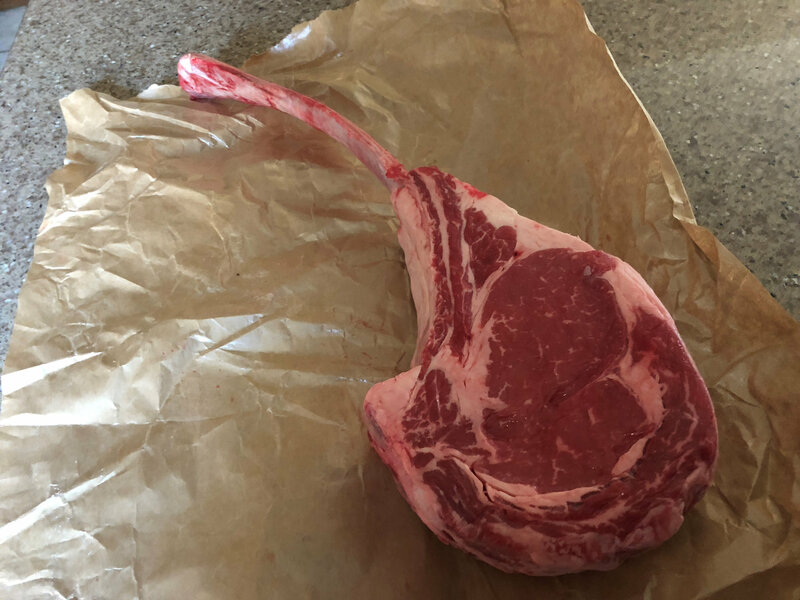 Had a new grocery store open up in town and they have tomahawk ribeye's in the meat counter every day. Tried one last Saturday. 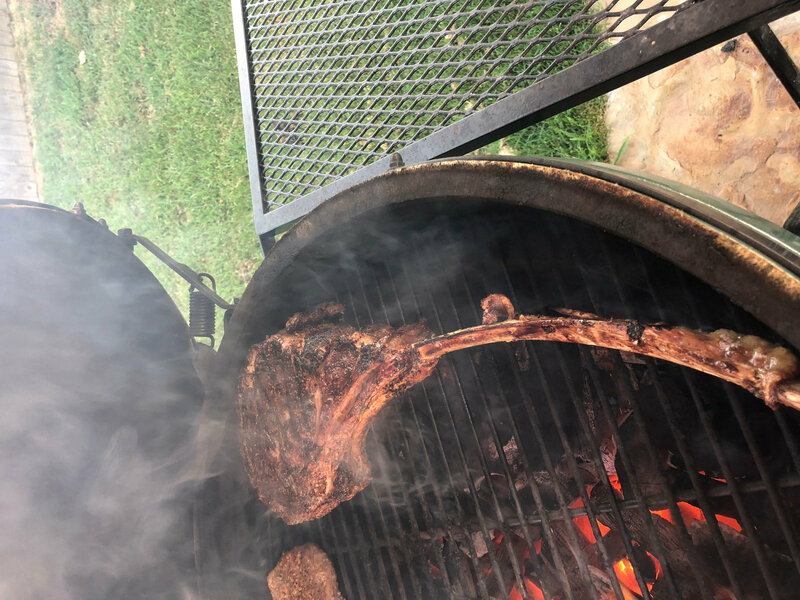 Sous vide for 2 hours at 132 and then finished it on the BGE to a perfect Med rare It was fantastic! .